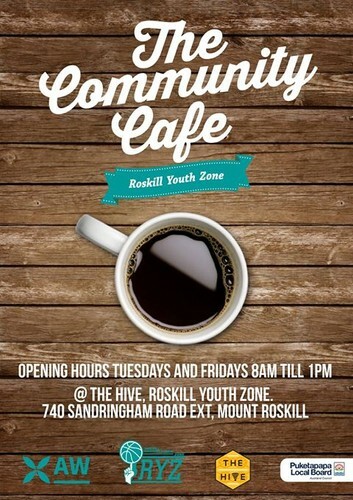 If you are around during our Wesley Market Days, feel free to pop into our Community Cafe, located in the Hive, run by our great partners Affirming Works. Probably the best coffee around and at a cost affordable to all. Proceeds go towards funding the Power Up Programme which helps teach our local youth the skills and tools to gain NCEA levels. So come on down, enjoy the coffee, enjoy the conversations and best of all, enjoy our local community.